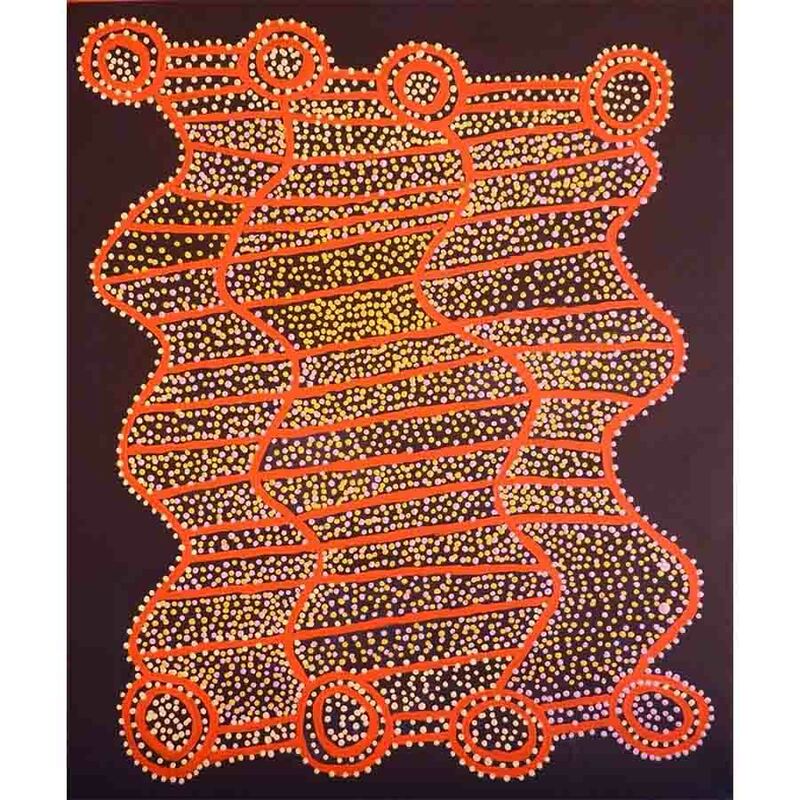 Shorty Jangala Robertson was born at Jila (Chilla Well), a large soakage and claypan north west of Yuendumu, a remote Aboriginal community located 290 kms north-west of Alice Springs in the NT of Australia. He lived a nomadic hunter-gatherer lifestyle with his parents, older brother and extended Warlpiri family. 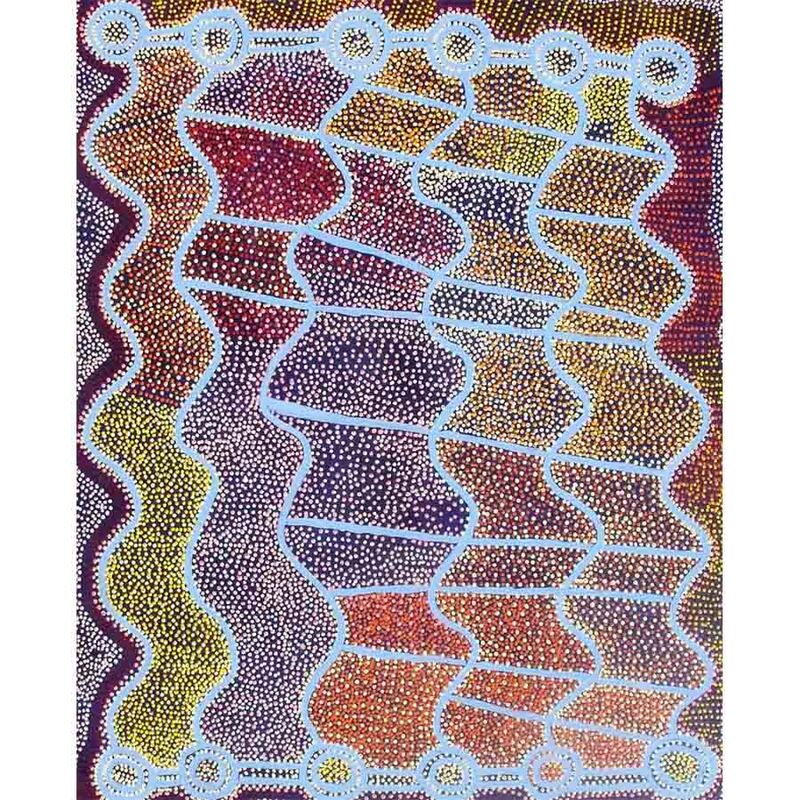 They travelled vast distances across desert country, passing through Warlukurlangu, south west of Jila and Ngarlikurlangu, north of Yuendumu, visiting Jangala’s, his skin brothers. 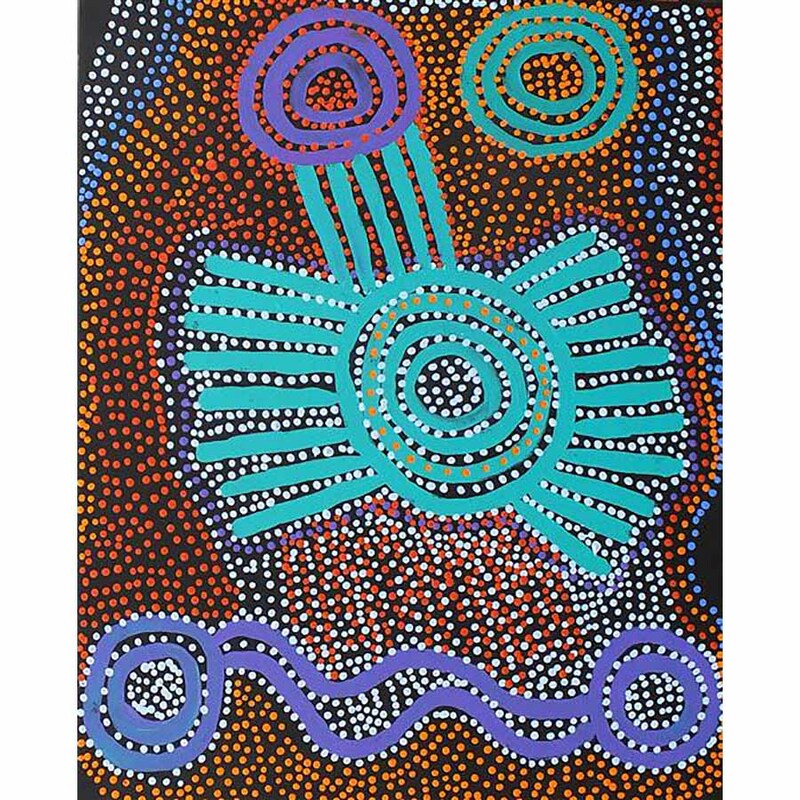 His childhood memories consist of stories associated with the Coniston massacre of Aboriginal people. Families were also shot at Wantaparri, close to Jila. Shorty Jangala Robertson had virtually no contact with white fellas during his youth but remembered leaving Jila for Mt Theo ‘to hide’ from being shot. His father died at Mt Theo. 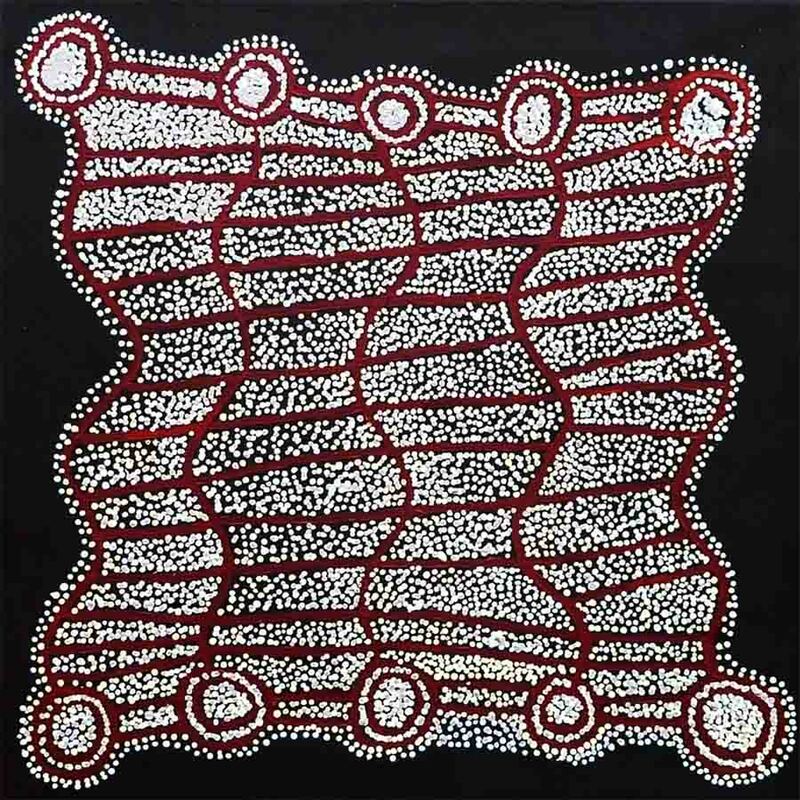 He moved with his mother to Mt Doreen Station, and subsequently the new settlement of Yuendumu. 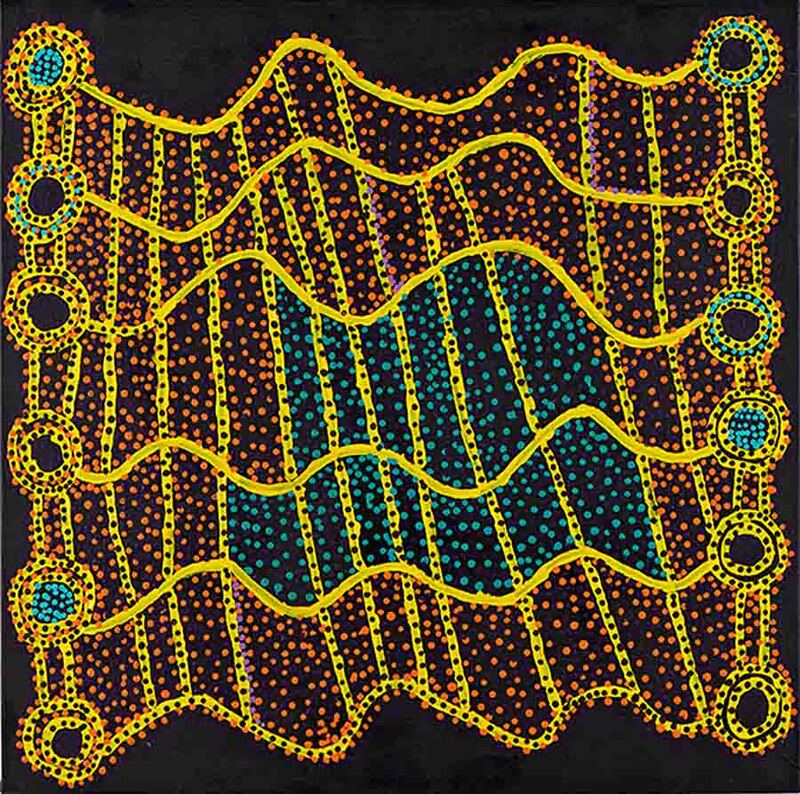 During World War II, the army took people from Yuendumu to the other Warlpiri settlement at Lajamanu. Shorty was taken and separated from his mother; however, she came to get him on foot and together they travelled hundreds of miles back to Chilla Well. Drought food and medical supplies forced Shorty and his family back to Yuendumu from time to time. 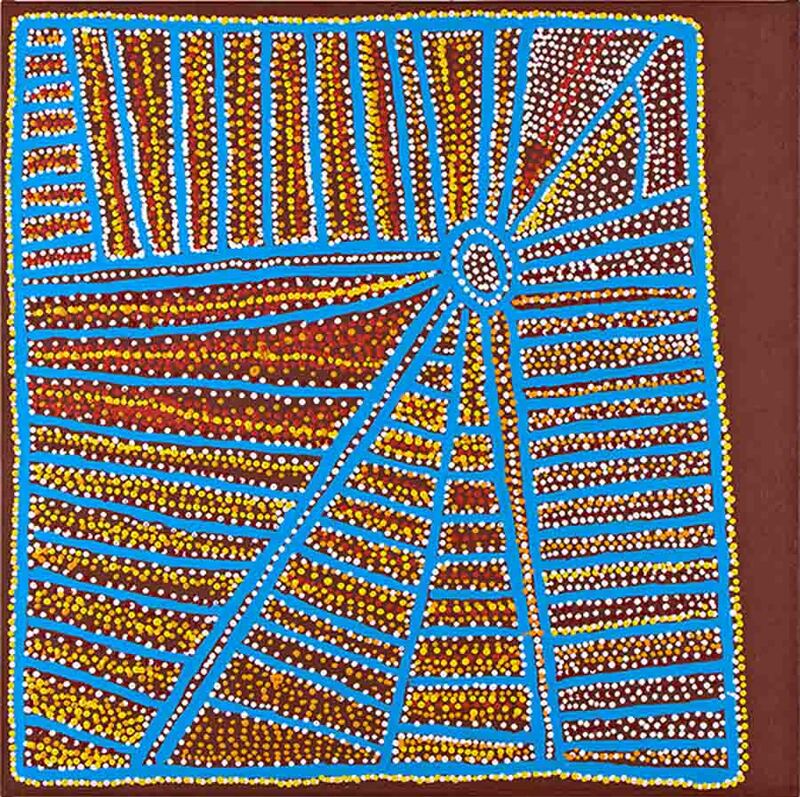 His working life was full of adventure and hard work for different enterprises in the Alice Springs and Yuendumu areas. He finally settled at Yuendumu in 1967 after the Australian Citizen Referendum. 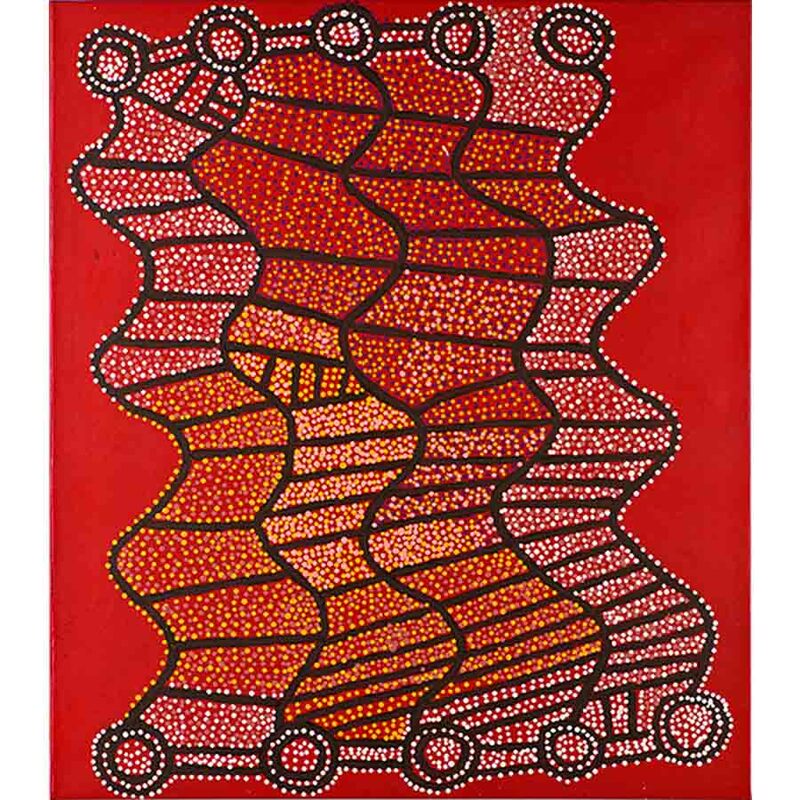 It is extraordinary in all his travels and jobs over his whole working life, that he escaped the burgeoning and flourishing Central Desert art movement of the 1970’s and 1980’s. Thus Shorty’s paintings are fresh, vigorous and new. 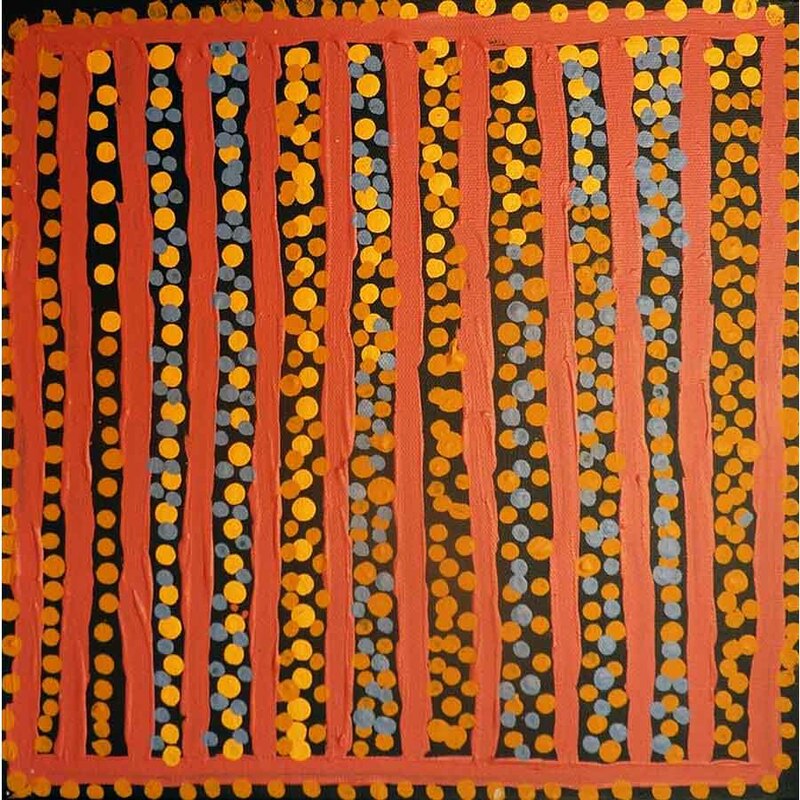 His use of colour to paint and interpret his dreamings of Ngapa (Water), Watiyawarnu (Acacia), Yankirri (Emu) and Pamapardu (Flying Ant) is vital, yet upholding the Warlpiri tradition. Shorty was well in his 70’s when he started painting. 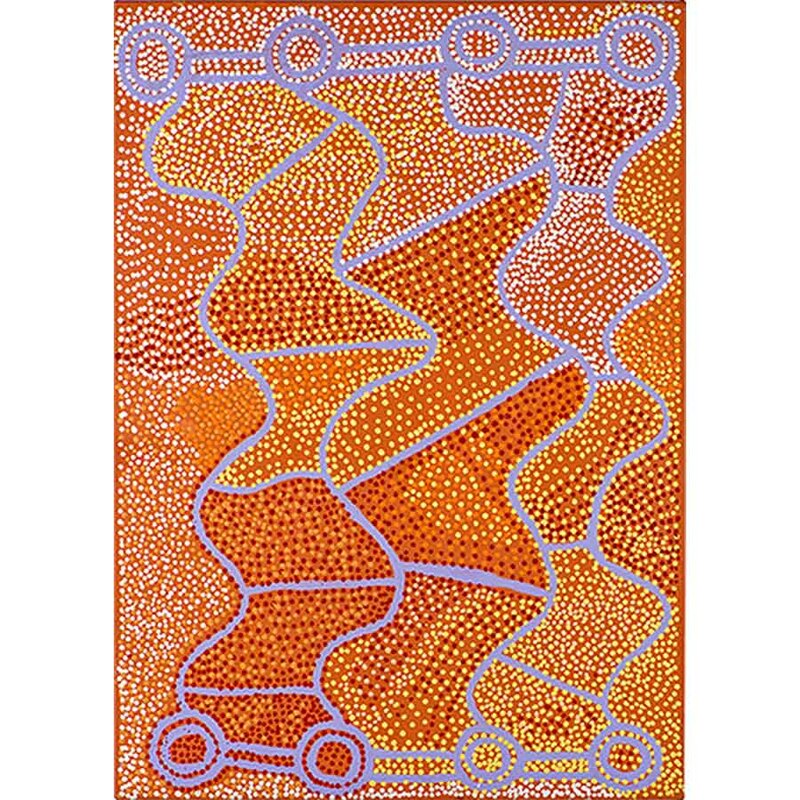 He was an active member of the Warlukurlangu Artists Aboriginal Association, an Aboriginal owned and governed art centre located in Yuendumu. 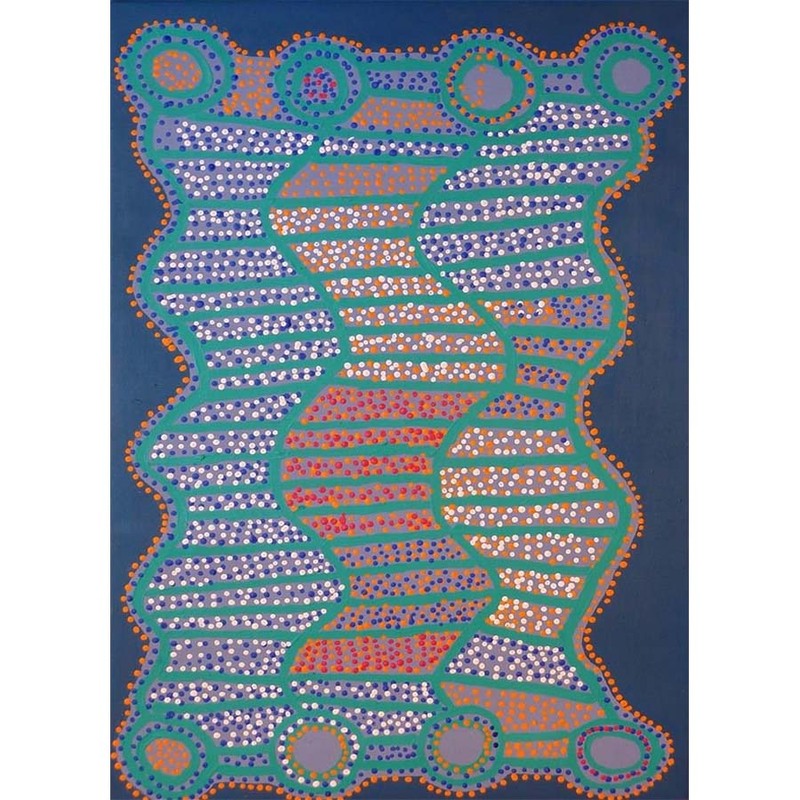 His first solo exhibition at Alcaston Gallery in 2003 was met with great artistic acclaim. 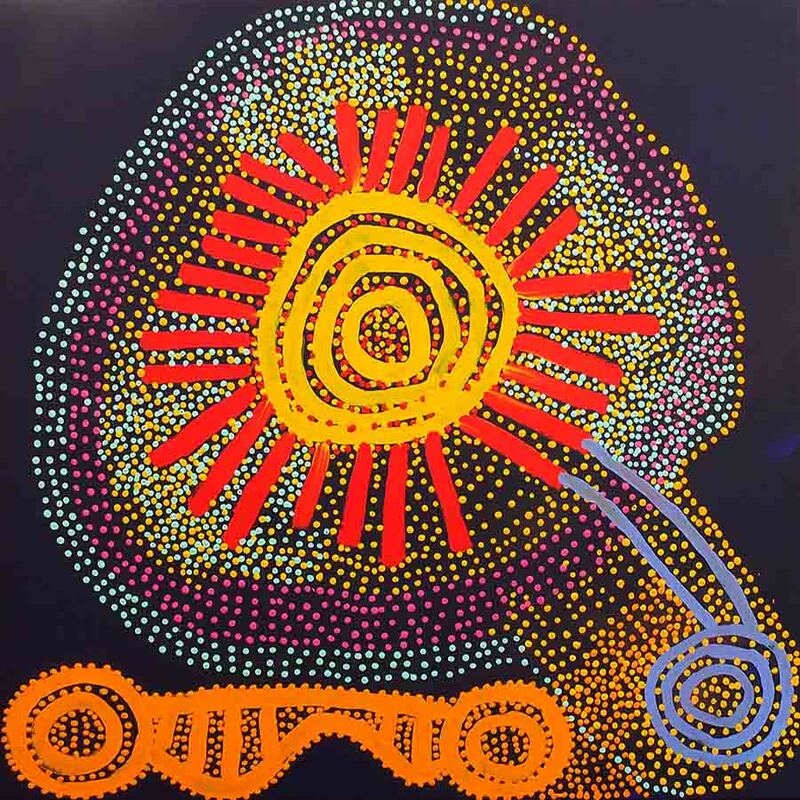 Since then he exhibited in Aboriginal Art Exhibitions in Australia and overseas. He passed away 28-09-2014 on a sunny Sunday morning. 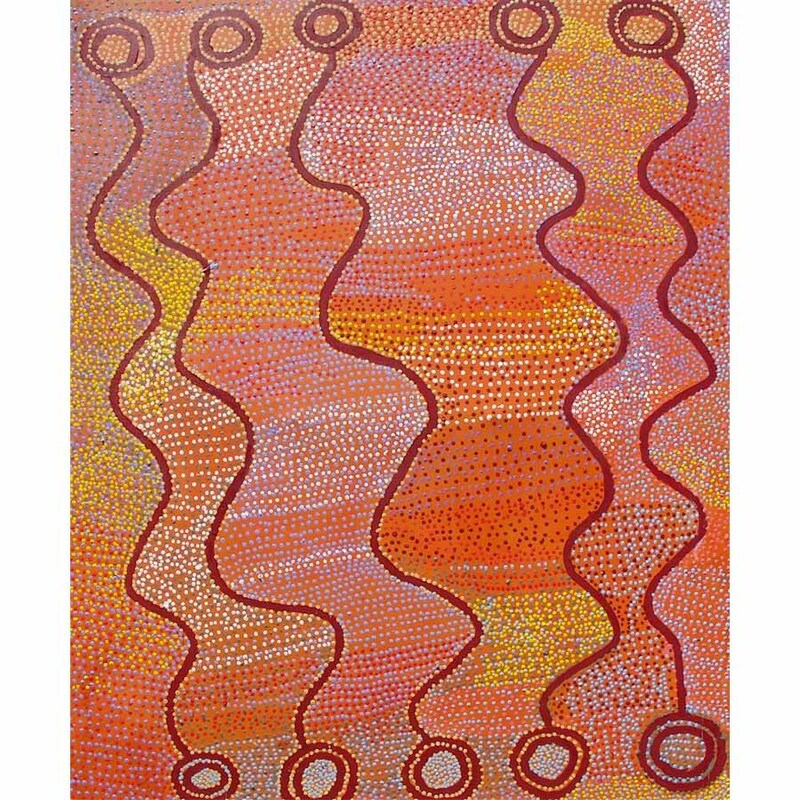 FireWorks gallery would like to acknowledge that Shorty Janagala Robertson is represented by Warlukurlangu Artists Aboriginal Corporation. 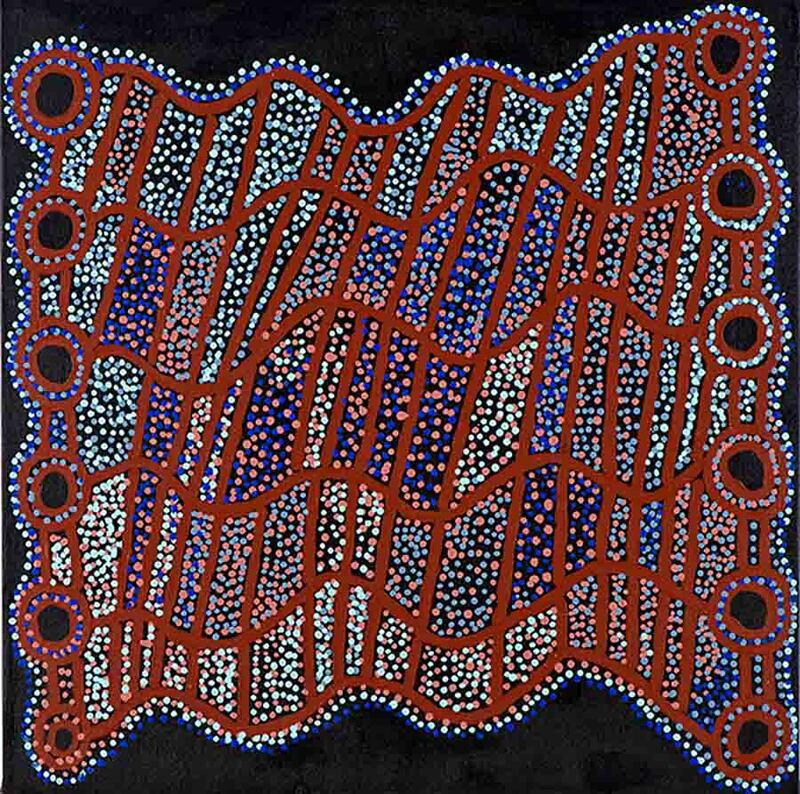 2007 Shorty Jangala Robertson - Singing in the Rain, Alcaston Gallery, Melbourne. 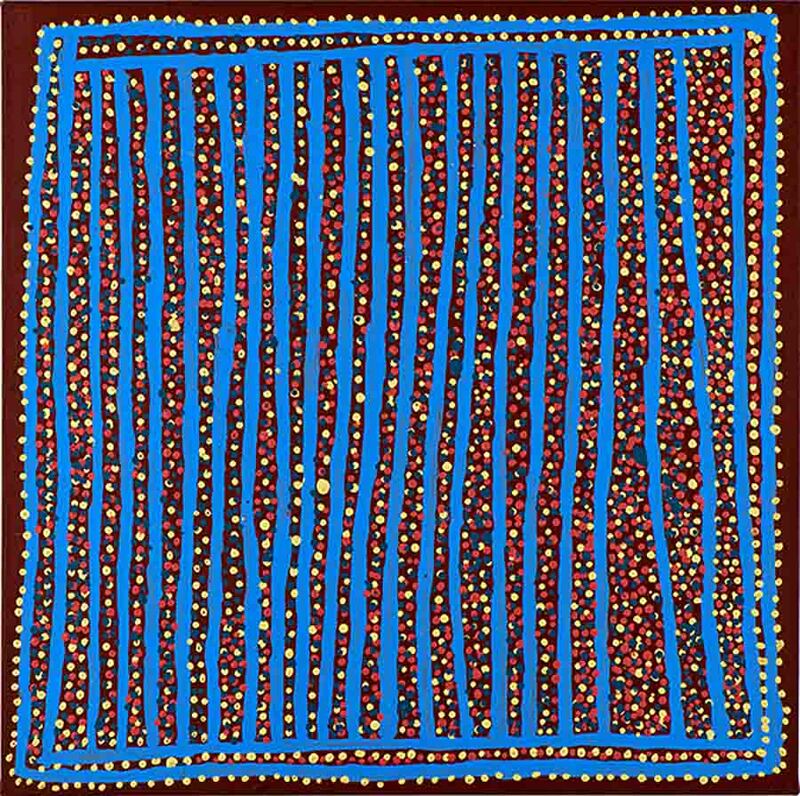 2005 Ngapa - new paintings on canvas, Alcaston Gallery, Melbourne.